Table 1. States with nonindigenous occurrences, the earliest and latest observations in each state, and the tally and names of HUCs with observations†. Names and dates are hyperlinked to their relevant specimen records. 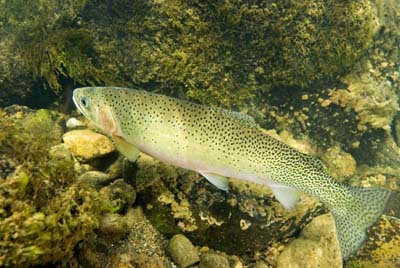 The list of references for all nonindigenous occurrences of Oncorhynchus clarkii lewisi are found here. Marotz, B. 2004. Tough Love, why it makes sense to kill some fish in order to save others. Montana Outdoors. March/April 2004. Schultz, L. P. and A. C. DeLacy. 1935. Fishes of the American Northwest. Journal of the Pan-Pacific Research Institution. Vol. X, No. 4, 365-380.